NEW YORK -- A wake was set to be held Friday for a 30-year-old jogger killed in New York City as police continue to search for any clues that could lead them to a suspect, CBS New York reports. The painstaking investigation into the murder of Karina Vetrano continued into the night Thursday with numerous officers and detectives at the crime scene in the Howard Beach neighborhood of Queens. The NYPD called in the FBI for help because her body was found on federal parkland. The bureau has provided additional equipment in the search, including drones over the scene. Police said they are desperate for tips from the public. They say they've only received three calls to their tip line, none of which have provided much information. "We believe there's a severe community threat, as you know," Chief of Detectives Robert Boyce said. "Right now, we think it's random, so we don't believe it's anybody in her life that's created this." Investigators have been conducting a methodical grid search of the weeds and marshland where Vetrano's body was found Tuesday night. Officers, going out in special white Tyvek suits, are searching in 300-feet increments for anything unusual they can test that could lead to her killer. "We plan to chop down just about every weed in that location till we're satisfied that we've got all the evidence," Boyce said. "This is a remote area. A young lady was running -- still daylight -- so hoping somebody saw something going into the park." An avid runner, Vetrano left her home around 5 p.m. Tuesday for a jog in the Spring Creek federal parkland. Police said she usually went with her father, but this time, an injury kept him home. He got concerned when she didn't answer his calls. "At some point after that, her father began to get worried, where she was, she didn't return home," Boyce said Wednesday. "He called a member of the service, a police chief who lives nearby, who then called 911." 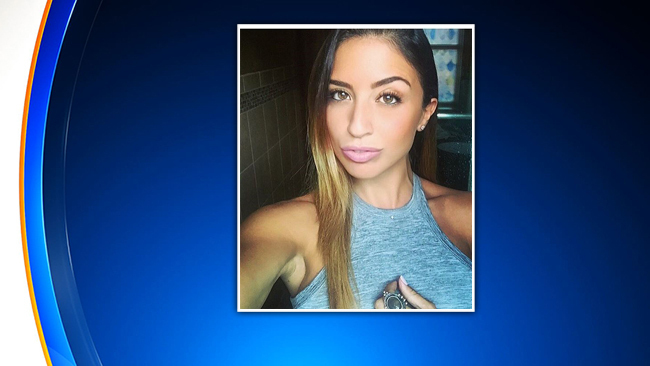 Vetrano's father helped police search Tuesday night and pings from her cellphone led them to a marshy area about 15 feet away from the running path. "The father then went into the woods and then found the body with our detectives right after him," Boyce said. "We found her face down in the ground." Police said Vetrano was strangled to death and possibly sexually assaulted. She was face down with her teeth broken, scrapes on her legs and her sports bra and shorts pulled down, sources said. Police sources also said one of her hands was clutching grass, indicating she may have been dragged. Police said she was found 15 feet off the path. "This woman put up a ferocious fight right to the end," Boyce said. Meanwhile, the murder has rocked this tight-knit community. "It's terrible. It's disgusting," resident Robert Kerr said. "I feel so bad for the family. They got homeless people living back there in the weeds. They got all these vagrants that just wander around doing nothing." Police said they did visit a homeless encampment over a mile away from the scene but said it appears that encampment did not play a role in the murder. Vetrano worked at a local catering hall and as a speech pathologist, earning a master's degree from St. John's University last May. Friends said she was widely traveled and well-educated. Funeral services for Vetrano will be held at noon Saturday in Queens. A $10,000 reward was being offered for information leading to an arrest.